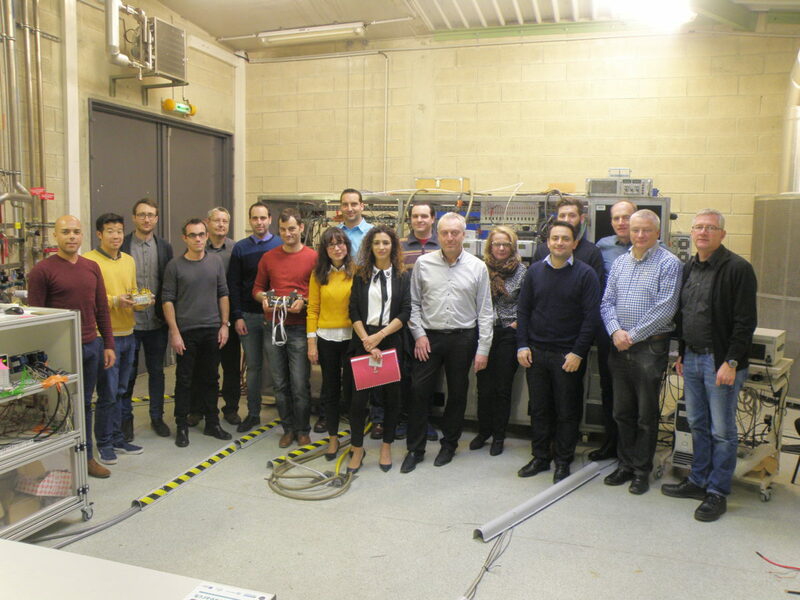 M6 project meeting of Giantleap was held on November 09th and 10th 2016 in Belfort, France hosted by FCLAB/UFC (group photo of the Giantleap consortium at FCLAB’s experimental facilities, holding Elring Klinger’s stacks). The main focus of this meeting was the specification of the test protocols and the data collection. Final protocols are scheduled for delivery on January, while tests are expected to start in the first half of 2017. Giantleap will organize a workshop on degradation mechanisms of fuel cell systems and prognostics for mobility within 2017. The venue and date will be decided shortly and will probably be part of a reputable international conference. Participation of other FCH JU projects is encouraged, so if you are interested for more information, please contact Argyro Karathanou. The project is globally progressing as expected and all activities are executed according to the schedule. In particular, Elring Klinger has finalised their task regarding the stacks production and brought them to FCLAB during the meeting.